Stars, glitz and glamour in abundance featured at the opening of Germany’s first FENDI boutique. The luxury Italian brand held the official opening of its store at 12-14 Maximilianstrasse, a historical 19th-century building, on Tuesday, 18 March 2014. 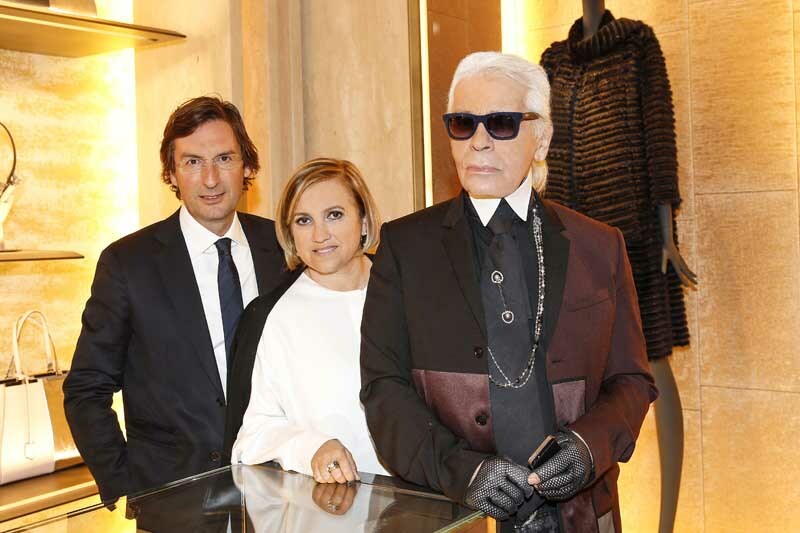 CEO of FENDI), Karl Lagerfeld (Creative Director) and Silvia Venturini Fendi (Creative Director Accessories). Over champagne and gourmet delicacies, the VIPs had the opportunity to examine the latest FENDI collection in the store’s two floors and 365 square metres. In addition to Ready-to-Wear and acccessories, particularly popular departments among women guests were the Made-to-Order Corner and the VIP Room for individual fittings. Hot topic of conversation was the kooky limited-edition “Funich” Bag Bug and the luxury design of the boutique interior. A BMW shuttle service then whisked guests to the Haus der Kunst for the exclusive opening of the photography exhibition “The Glory of Water”. The exhibition presents fascinating photographs of Rome’s fountains taken by Karl Lagerfeld, a restored version of the fashion film produced by FENDI in 1977, “Histoire D’Eau” and an illustrated volume of the same name published by STEIDL-Verlag. The exhibition will run from 19–25 March 2014.